Medical malpractice is commonly associated with negligent treatment choices during an emergency situation, or at the outset of diagnosing a condition or disease. Less common is the situation where a condition is successfully managed for years, and then new and poor treatment choices lead to injury or death. Rather, dealing with a serious and ongoing medical condition that potentially threatens one’s life is addressed through regular medical exams, and competent management by a doctor trained to monitor and treat the condition. One particularly prevalent condition, heart disease, is one of the leading causes of death in this country, which led to the development of a number of treatment options to control it. Thus, most people can live a normal span if the condition is detected in time, and the proper treatment administered. Unfortunately, this is not always the case, and poor treatment choices can have fatal consequences. A 77-year-old Miami woman recently won a $7.9 million medical malpractice verdict from a stroke she suffered due to the negligent management of her heart condition. Two cardiologists approved changing her medication despite successful management of her condition for more than two decades, and failed to detect warning signs the new regimen of aspirin was inadequate to control her condition. A discussion of the types of issues related to heart disease that most commonly lead to medical malpractice, and what an injured party would need to prove in a lawsuit, will follow below. Heart disease is usually detected during exams by an individual’s primary care physician, and is characterized by an irregular heartbeat dizziness, and chest pain discomfort. If not correctly diagnosed, those who suffer from it are in danger of having a heart attack. Failure to listen to a patient’s complaints, conduct a thorough examination, or take a patient’s full medical history can lead doctors to miss the warning signs or attribute them to a less serious condition. Doctors who work in high-volume practices are particularly prone to missing key bits in information due to a very limited amount of time allocated to each patient. However, a doctor’s patient load does not relieve him/her from a duty to exercise a professional standard of care. While a heart attack is not actionable by itself, if it was caused by an undiagnosed heart condition, the treating doctor could be liable. Further, if someone comes into a doctor’s office or hospital with symptoms of a heart attack, and proper testing and treatment is not administered, such as an electrocardiogram or stress test, the doctor may be liable in this situation as well. Each case is highly fact specific, and needs evaluation by an experienced medical malpractice attorney to know if legal action is possible. Injury related to a misdiagnosis or failure to diagnose is much easier to prove if the condition is common and understood, and not something rarely seen and/or little studied. Heart conditions are very common, and doctors would be expected to recognize when a heart issue could be present. 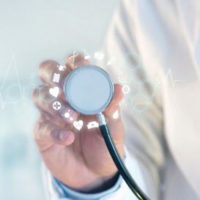 Specialists, such as cardiologists, are presumed to have a higher level of knowledge, and should be able to detect the more subtle signs of a problem. Thus, the appropriateness of a doctor’s actions will depend on the level of familiarity he/she is expected to have about a medical condition – the more a doctor is supposed to know the less room for excusable error. The heart of all medical malpractice cases is how a doctor’s actions compares to what another doctor of comparable knowledge and skill would have done in similar situation. A medical malpractice attorney will assess, with the assistance of a medical expert, if the doctor’s actions were in line with accepted practices or if they rose to the level of negligent/reckless behavior. A mistake by a doctor can cost someone his/her life. If you were injured by a doctor’s inappropriate treatment, do not wait to investigate the possibility of taking legal action. The window to sue for medical malpractice in Florida is small, and medical malpractice attorneys need a substantial amount of time to build a strong case. The Miami law firm of Pita Weber Del Prado knows how to work through Florida’s complicated process to file a medical malpractice claim, and are available to take your call. Contact us for a free evaluation of your case.